Remove the door rear sash outer trim (A). Slide the door glass outer weatherstrip (A). 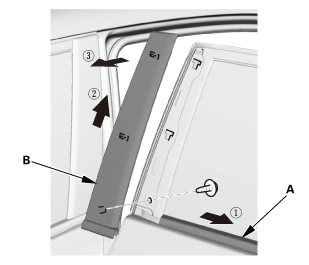 Remove the door sash outer trim (B). Install the door sash outer trim (A). 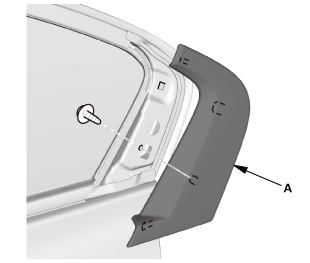 Slide the door glass outer weatherstrip (B). 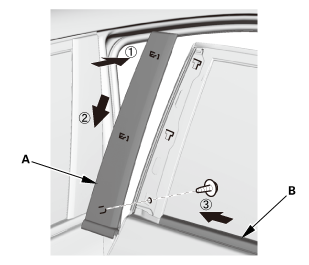 Install the door rear sash outer trim (A).